Use the laminated playboard (the Time Vortex) to create a difference scene every time you play. You decide the adventures the Doctor and Martha will have. You can also use your stickers on any smooth surface including mirrors and windows. 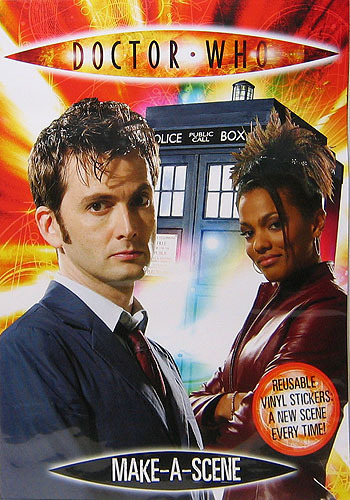 Stickers include the TARDIS, the Doctor, Martha, K-9, a gold Dalek, a Judoon, Scarecrow, Cyberman, Krillitane, and a cat nurse.